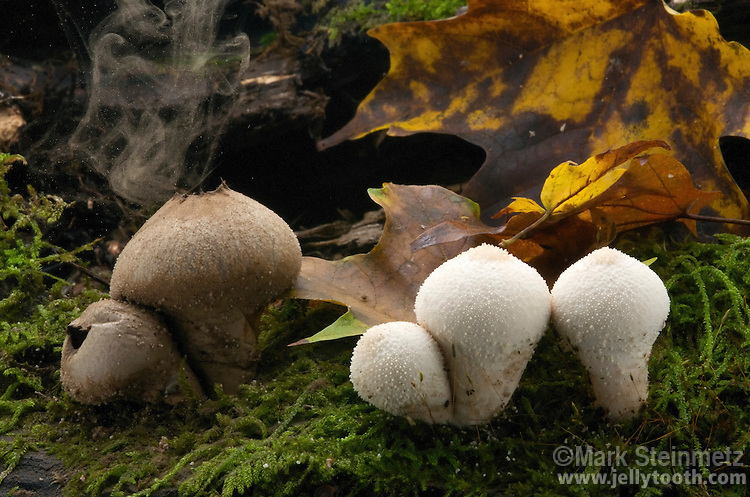 Gem-studded puffballs (Lycoperdon perlatum) releasing spores. On the right, immature specimens which are pure white and edible at this stage. On the left, matured spore cases have turned olive-brown, and the interior powdery. Raindrops, wind currents, or animal contact cause dispersal of spores through holes which open at top of the spore case. Hocking State Forest, Ohio, USA.